Hmpf, what deed did he do to land a main character role in the series? 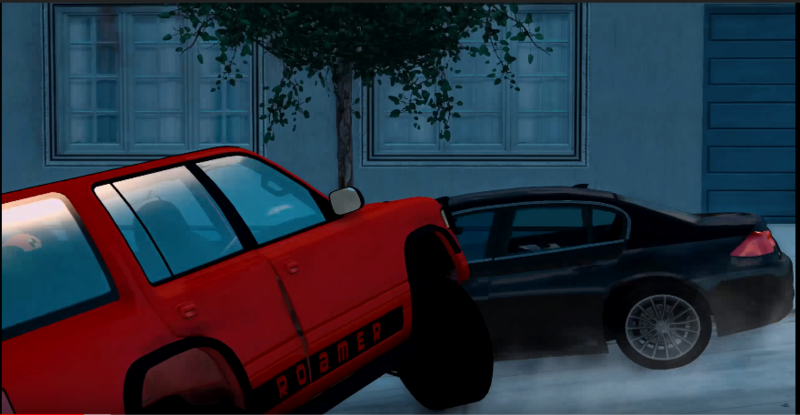 After 2 months of working I'm finally done with the next movie - Crazy City Police Chase! Action takes place in Belasco city. I really tried to make it look alive. Thats probably why it took two months to make. Mods take forever to load lol. This time around I excluded the aftermath shots, so its mostly pure action! You can see the aftermath of two scenes in Beamng.TV's video. Ill add link later. Anyways enjoy the video and leave a comment sharing your opinion, favorite moments etc. 6 weeks of recording and 2.5 weeks of editing. 1801 clip have been recorded. 88 vehicles have been destroyed. It's just my opinion. Your videos are great, keep it up. Hey, thanks for that great movie. Fortunately, I helped you make my character slide his unmarked ETK 800 properly this time. Maybe I would suggest the some new scene which is he crashed his unmarked ETK with multiple but survivable rollovers. Then he would runs to the closest fast cars and continues his chase. What is your opinion about that? You should include the army or national guard in the next movie. I mean anything past swat needs help. I personally want to know what is planned fro my character in the next movie. Maybe I crash my car next to police station and bring out a hot secondary to bring down hellhound? It's a fully upgraded roamer with nos. Found out where my main character (Flippster) was during all this. Do you have an estimated time until the next movie comes out? Or at least a target release date? Have you plotted out what happens next?